“She would have to leave her intellect behind, my friend assumed, if she followed up on a profound experience of God that had led her to Mass. Eventually she decided to enroll in the catechumenate in order to become a member of the Catholic Church. Taking this step, she explained to me, would require her to check her brain at the classroom door, but she felt her newfound religion was so important to her that she was willing to sacrifice reason for faith. 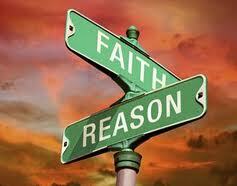 Happily, my friend soon discovered that the Catholic faith in fact encourages the use of reason. But her story reminds us that we live in a culture that tends to segregate knowledge, faith and belief. On the one hand, knowledge is seen as scientific, objective and part of a common fund. On the other, faith and belief (which are not usually distinguished) are considered unscientific, subjective and private. At best, the two categories are allowed to coexist if kept at arms’ length from each other; at worst, they are treated as mutually opposed, whether by strident atheists or religious fundamentalists. Such attitudes toward knowledge and belief do not comport with the Catholic tradition. Nor do they accurately reflect the way our minds actually work. St. Augustine was correct when he wrote, “To believe is nothing other than to think with assent…. Believers are also thinkers: in believing, they think and in thinking, they believe.” Perhaps surprisingly, the clearest evidence for this claim can be found in the world of scientific research. The contemporary urge to separate knowledge from belief not only fails to grasp their interdependence; it overlooks the essentially collaborative nature of human inquiry. By cordoning reason off from faith, it also threatens to strike at the very root of rationality itself. For human inquiry was never meant to be a purely human collaboration, but a collaboration with the mind of God. If we expel God from the intellectual life, we may find that reason itself soon withers. This entry was posted in Ignatian Spirituality, Reason and Faith and tagged Adam Hincks, America Magazine, faith and reason, Faith and Science, Ignatian Spirituality, Jesuit, John Paul II, Pierre Teilhard de Chardin, reason and faith, Saint John Paul II, science and faith, scientific method, St. Augustine, St. John Paul II, teilhard, teilhard de chardin. Bookmark the permalink. 🙂 I’m also reminded how St John Paul II challenged us in Fides et Ratio, (Faith and Reason): our “reason has wilted under so much knowledge.” I interpret this as becoming lazy thinkers via ‘sola scriptura’, relativism, and reliance on science or medicine to provide answers to large questions. “One cannot, for instance, justify the scientific method using the scientific method, but must appeal to something more fundamental.” Wise words William. Thank you for the kind words. I enjoyed your recent video on Alan Watts. Fr Hincks is a must guest speaker at our next Vancouver Newman Association dinner. That sounds like a great event to be at! Thank you for sharing.